Here’s an app that promises to be ‘kind of a puzzle but more stylish’ – and delivers exactly that. Author and illustrator Ed Emberley has been encouraging children to draw for decades with his hugely successful Drawing Book series. Now Emberley’s unique style has gone digital with the Ed Emberley Shake & Make app. 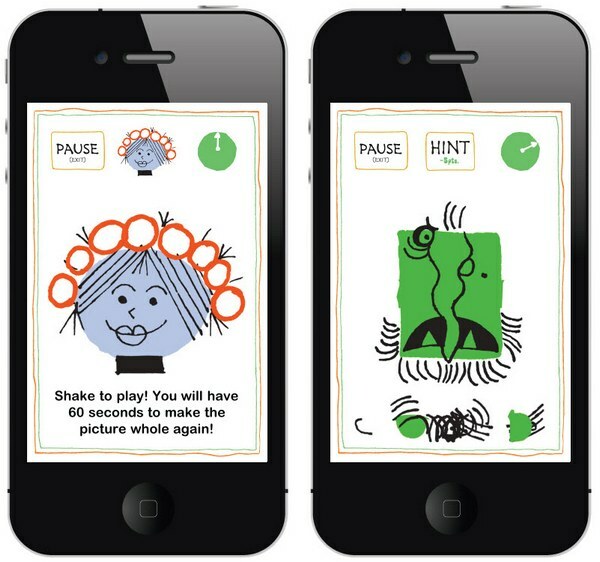 Shake & Make is a simple, fun app that is suitable for any age – look at the drawing, shake it up and put it back together again before time is up. Apart from being a fan of Emberley’s quirky little characters I like the fact that this game is fast – one minute per game. Maybe it’s just me, but there are a lots of times when we are waiting somewhere, such as the doctor or the dentist, and the kids launch into a game on my phone only to have me wrestle it off them minutes later amid protests of “I didn’t get to finish!”. Well that won’t happen with this app – fast, fun and just as good for testing the observation skills of three-year-olds or thirty-year-olds. 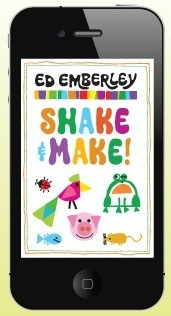 Ed Emberley’s Shake & Make is $2.49 and is available through iTunes. Don’t forget to check out our previous reviews of apps as well.